Pho.to Online Editor Review: Is This Free Photo Editing Program Worth Using? Pho.to allows you to make simple edits to your photos or add effects like photo morphing and changing images into cartoons. This free program has a lot of pros and cons, which we look at in this Pho.to online editor review. page. On first impression, this page looks very unprofessional and spammy. Featured templates (i.e. Old Photo Book, Ice Heart and the Dark Knight) scroll across the top of the page, each with an animation of what they can do. This is very distracting and annoying. The site could have thought of better ways to advertise its features. When you are finished manipulating your image, you can share photos on Twitter, Facebook and VKontakte via tweet.pho.to. You can do this from any page, which was extremely convenient. Uploading your images to the site, however, was a completely different story. You can upload from a disk, URL or webcam (the site automatically searches for your camera). When I tried to upload a photo, the process was slow. I then tried uploading via URL but kept getting the following error message: “Couldn’t find my photo within the text on the page.” I received the same results after several attempts, which was very frustrating. The Touch Up section of the site allows you to fix minor problems with your image. You can resize an image as you are uploading it (assuming it does upload), which is very convenient. You can also change background color, flip the image and zoom in and out on the upload page. I received an error message every time I tried to upload anything other than faces to the Touch Up section. This section is basically geared only towards portraits. Effects in Touch Up include shine remover, skin makeup, eye makeup and teeth whitening. With portraits, however, there may be more you want to enhance and fix than just a face or red eye. In which case, this section is completely unhelpful. Smart Fix is supposed to intuitively fix your photos. The problem, however, is that Smart Fix was really slow when correcting the look of your photo. You can view both the changes that you made and the original, but not side-by-side. A side-by-side viewer would have been a better feature than having to flip back and forth between the two images, but it was still helpful being able to see the original image. Here you can also fix red eye, which seems odd if they want you to use their Touch Up section for face correction. Within this section, I also got a few errors like the URL couldn't be found even when the photo was being uploaded from a desktop, which didn’t make a lot of sense. The major issues, however, was that you couldn’t tell a huge difference between the original image and auto corrections. Also, you couldn’t manually adjust color temperature or saturation. You basically had no control over any of the changes. & Filters section really just pulls together all of the adjustments that you can make in other sections of the program. You can perform quick fixes to your images or add effects. I used the black and white effect, but it didn’t look all that great – the image still had some of the original color left. Sepia and color tint really weren’t any better. The Neon effect worked really well, so you just need to play around to see which ones are effective. It was also easy to add text and watermark to my images in this section. The Fun Montages & Frames section allows you to add an image to a collection of images. You can, however, only add a single image to a background so it’s less like montages and more just like frames with busy backgrounds. After selecting one of the frames, it took a long time for the frame page to load. You have a choice to have a frame with or without animation. The animation was kind of annoying so you may prefer to go without. You can crop faces so the focus is on a single person in a crowd. To move on to another effect, simply click Change Effect on whatever page you are on, which was super easy and convenient. You will, however, need to keep scrolling until you find a frame that you want to use. This is great if you’re just experimenting. If not, then just select a frame from the main page. The website seems to have an obsession with Britney Spears since she was used in nearly every montage. Pho.to has lots of different templates, but you can’t tweak the templates. 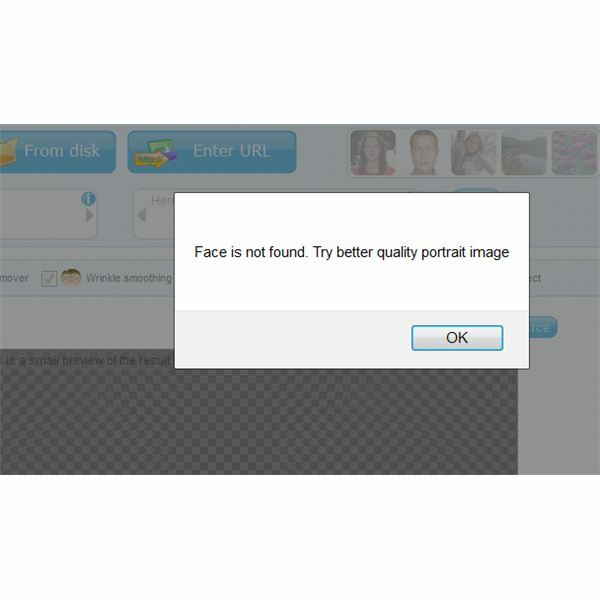 Plus, if you want to add anything other than faces to the template, you’ll get the error message “Face is not found. Try better quality portrait image.” In some of them, I would have preferred to put in objects, not people. On certain pages in this section, the page didn’t have navigation buttons at the top, which meant that you had to either go to the home page or keep hitting the back arrow to get back to the templates. The Cartoons & Face Fun section didn’t have a lot to it. You can only do face morphing – for example, change someone’s face from straight face to smiling, squinty eyed, etc. You can also change the look of the face into a face that looks like a troll, alien, Martian, etc. Here you can auto crop or add a cartoon effect, and it has another face crop tool. The cartoon effect was fun to play with. 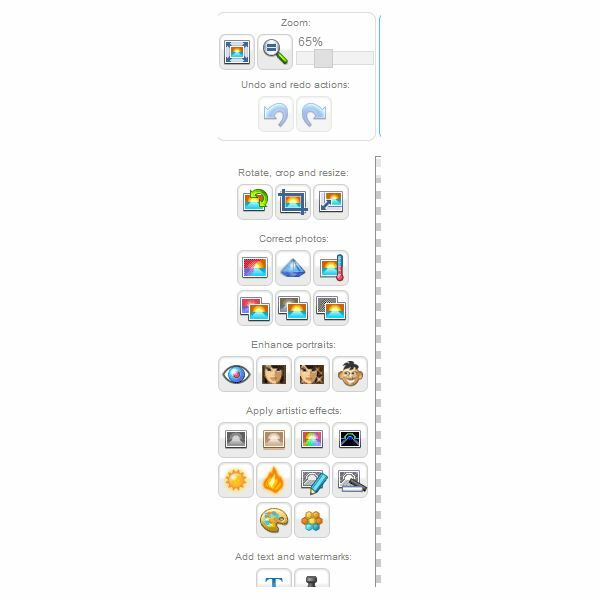 The Avatars section just allows you to animate a single or multiple pictures. For example, you can make someone’s eye brows raise or smile. You can also merge one photo with another. Again, you can’t tweak the animation, but you have lots of options as far as effects. The fire fading effect was really cool. It creates an outline of the portrait with orange flames. Pho.to offers apps for both Android and iPhone. On the Android, the simple app is free, but you have to pay for the more advanced one. With these apps, you can pull images from a camera or gallery. The app is actually a lot cleaner and easier to use than the full site. It has a few ads, but nothing too overwhelming. Pho.to is still slow on your phone, but it works well with the touch screen. Your photo saves right to a Pho.to Lab folder (which the app creates) in your phone’s gallery. The Pho.to Android app was actually better than Android’s simple edits program. Overall, Pho.to is very limited in what it can do, but it’s good for quick edits. It’s slow to upload your photos and make edits, and the scrolling ads are quite distracting. If you do want to edit your photos, the mobile app is actually a better choice. While it won’t help you with your desktop or online photos, you can easily edit your phone gallery images. The site is strictly for photos, especially portraits, as you can’t edit other types of images. There are better choices for editing your photos online, like Photobucket and Phixr, or free downloadable programs like GIMP and Photoscape. Keep in mind, this Pho.to online editor review only gives you my experience, you may want to try the program yourself to see if it works for you. If you do check it out, don't forget to leave a comment to let us know what you think of the program!